Rural Africa presents changemakers with intractable challenges across sectors, but one American investor, Grameen Foundation, believes it all comes down to access to information. Grameen Foundation has invested millions to develop mobile-phone applications that leapfrog over a lack of electricity, education, and income. Building on their legacy of leading-edge ideas, Grameen Foundation has evolved from funding microfinance to designing disruptive solutions to the kind of poverty that’s most challenging to reach, in remote rural areas, and to the poorest of the poor. Since more people have access to cell phones than toilets in Africa, Grameen Foundation brings increased agricultural productivity, access to prenatal and infant healthcare, and a portfolio of financial services, to the poor–right into the palm of their hands. Our director, Suzanne Skees, traveled to Africa with Grameen Foundation to see their real-time impact on the ground. 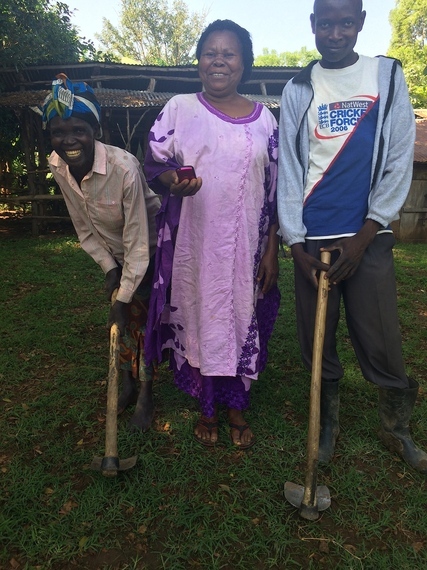 Mary (center) with two farmers she employs on her banana farm in Uganda. Then, Mary found one simple tool to help her eviscerate the infesting worms and transform her farm into a leafy haven of 70,000 bunches; and it wasn’t insecticide or a tractor.–It was a mobile phone. Selected as a leader by her own local farming community, Mary received a mobile phone equipped with a “Community Knowledge Worker” application by Grameen Foundation serving 176,000 farmers in Uganda through a network of 1,100 peer advisors. She knows when and where to sell her bananas at the best price, so she doesn’t have to settle for whatever the peddler coming through her village on any given day might offer. Mary still has no plumbing or electricity (she charges her phone through a solar station), but she’s discovered a whole new world through that phone of hers. Serving as a volunteer advisor to 100 local farmers in her county, Mary walks from home to home each day, visiting 5-10 neighbors and relatives who’ve now become cohorts in the movement to increase production and earnings. Most often, they find organic, low-cost solutions. For example, a local farmer’s tomato-fungus was cured with a mixture of milk and ash; another farmer used water-and-ash to eradicate her caterpillar plague. “Women carry heavy burdens, taking care of their families and their land,” Mary comments. 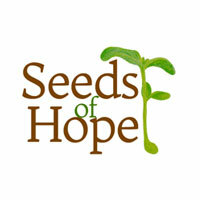 Ironically in the lush hills of Uganda, “many children are starving” (33%) and many men have succumbed to alcoholism. “Just being a woman and being in this role as a leader,” she notices, “softens” men’s attitudes toward their wives and opens them up to mutual decision-making. Mary hopes that by working smarter and earning more, all farmers can overturn poverty here, one crop-yield at a time. 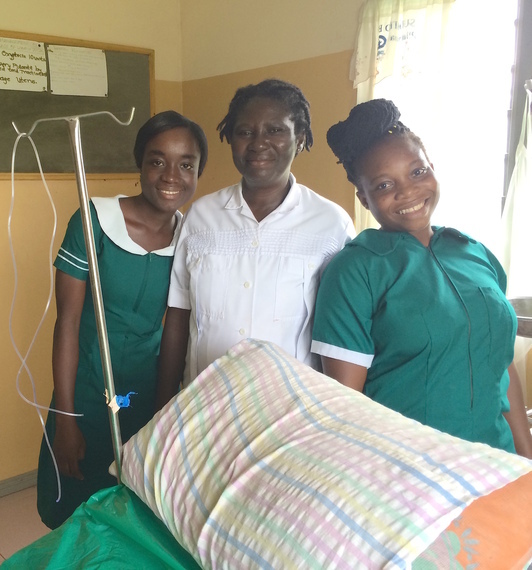 Monica (center) with her two nurses at the Awutu health clinic in Ghana. Awutu, Ghana: 57-year-old Monica Effinah has worked as a nurse-midwife for over four decades. The first birth she assisted, she reports with pride, was when she was just 15 years old–and it was triplets. Monica happens to live in a country where the business of birthing babies has changed dramatically in recent years: The Ministry of Health has made family-planning education and services so readily available, that Monica herself has seen a huge decrease in the number of births she assists–from nearly 100 in her early years, to about 30 births per month now. (Population has fallen from 27% in 1970 to 2.9% in 2014.) Meanwhile, in 2008, the government outlawed the practice of traditional birth attendants’ assisting births in homes, in a push toward modern prenatal healthcare and clinic/hospital births. 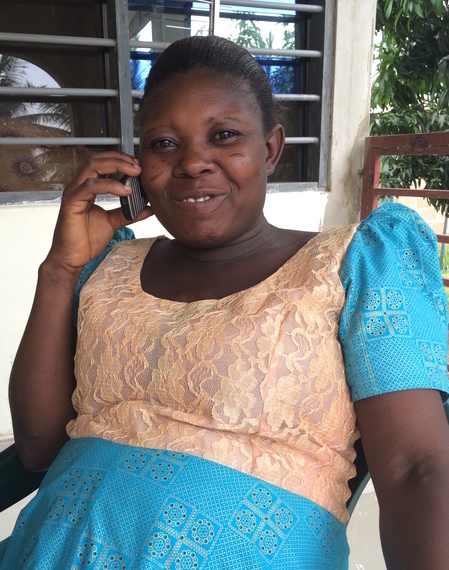 That’s when Monica joined the “Mobile Midwife” program, using her cell phone to upload and track patient records and appointments and send voicemails to pregnant and lactating women about how to take good care of themselves every single week. Since most of the parents served by this program cannot read, Monica sets up voice-mail messages to go out once per week–tailored to the stages of pregnancy, birth, antenatal care, and infant care–in each patient’s local language. Despite the prevalence of mobile phones, in our field visit we didn’t see them being used much, except when those Mobile Midwife calls came through. Each patient has a private PIN and can access voicemails on her own or her husband’s or a friend’s phone and listen as often as she likes, to advice on nutrition, rest, exercise, and reminders for those crucial (and free) clinic checkups. “We’ve seen an increase in immunization coverage . . . in the number of mothers coming to the facility to deliver. And also we’ve seen that many more of the mothers are very knowledgeable about health issues,” Patricia Antwi, district director of health services for Awutu-Senya district (where Monica works) tells the BBC. “It saves mother’s lives. It saved my [second] baby’s life,” says midwife Alice Grant-Yamoah. “The husbands are very interested in Mobile Midwife,” she comments. “In fact, the program has even reunited some broken marriages” in which husbands gained respect for the process of pregnancy, childbirth, and parenting, simply because of the authority of the almighty mobile phone. Monica and her nurses also make house calls. They feel they’ve made progress with access to healthcare and smaller families but still face threats from chronic hunger, malaria, and Ebola. 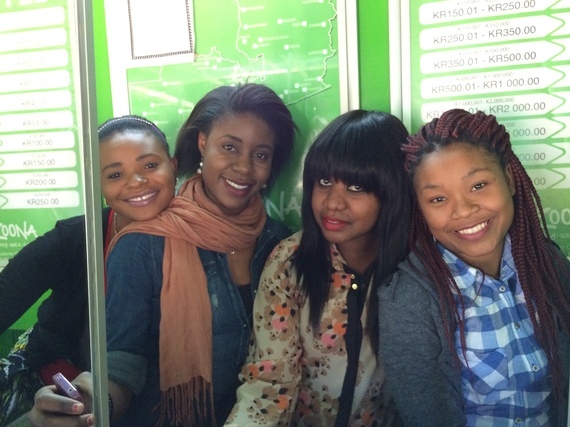 Misozi (3rd from L) with her bank tellers at the Zoona booth in Lusaka, Zambia. They just can’t keep up with the lines that snake down the sidewalk, filled with customers eager to move money through the social-enterprise mobile-banking company, Zoona (pronounced Zoh-na; means “it’s real”). 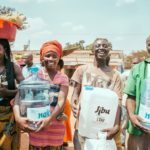 Zoona specializes in serving the unbanked (85% of Zambians)–yet everyone from food-cart vendors to government workers flock to Zoona, whose outlets serve remote areas in Zambia that banks and even Western Union fail to reach. Here at the first Zoona booth, built in 2009, business is better than ever. The owner, an independent franchise agent named Misozi Mkandawire, started off as an agent and worked her way up in two short years to owning nine outlets employing 19 people: mostly female, all under age 28. Misozi, who’s only 24, has just become a millionaire in Zambian kwacha, the local currency. She’s planning to launch a social enterprise of her own, to offer microloan services over–guess what?–mobile phones. Providing early-stage investment funding to Zoona, Grameen Foundation intended to build both financial access and jobs. As Zoona prepares to overtake the mobile-money market across the continent, this impact investment may prove even more prudent than they’d planned. Grameen Foundation, a spinoff of Grameen Bank–the world’s first organization to develop the microfinance model to create financial access and jobs for the poor–operates in 13 countries and regions. 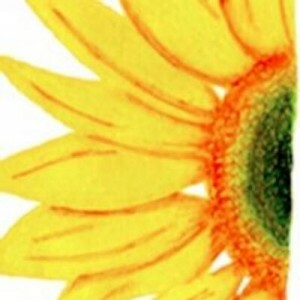 Their mission is to connect the world’s poor to their potential. I traveled to Africa with The Grameen Foundation pro bono, helping to gather stories of their efforts to end poverty through technology. Extending their reach to the world’s poorest, with a focus on women, “We believe that all of us — even the poorest among us — can reach our potential if given access to the right tools,” says founder Alex Counts. Because the Skees Family Foundation believes in the power of story to connect people around the world, we donated two weeks as a grant-in-kind, interviewing midwives, mothers, farmers, and bankers, all of whom gain access to markets, fair wages, and health and business information via Grameen’s innovative mobile-phone applications designed for and with the poor. LEARN more about The Grameen Foundation here. DONATE to The Grameen Foundation’s mission of helping the world’s poor reach their potential here.